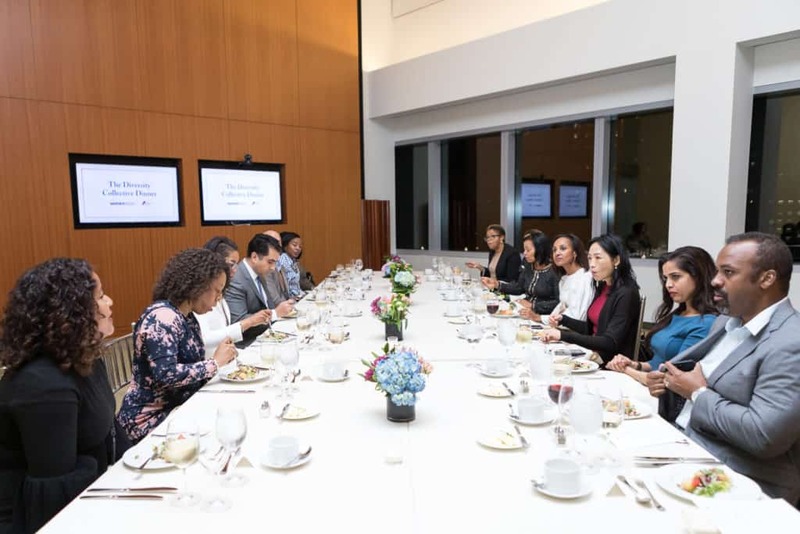 NOVEMBER 5—An exclusive group of top diversity and inclusion executives across industries met for the 2018 Diversity Collective Dinner. The event was hosted by WarnerMedia at its headquarters, One Time Warner Center in New York City. The purpose of the dinner was to bring together leaders tasked at increasing diversity within their organizations to discuss their challenges and best practices and collaborate in a meaningful way. Over dinner, these leaders spoke candidly with each other and walked away with strengthened connections and tactical ways to further their companies’ D&I initiatives. The event brought together leaders from Goldman Sachs, Nike, Facebook, HBO, Accenture, Dow Jones, and more.